Time is like fragrant nitrogen gas. It is always present in our atmosphere, but we only smell its sweetness after rain. Then it flees, fades but lingers beyond our perception until it rains again. It has been raining frequently at home these past few months, and time feels like it is sweeping my feet from beneath me. The world is spinning it out of control; the second law of thermodynamics is taking its toll; humanity is crumbling while so few stop to smell the nitrogen of time. 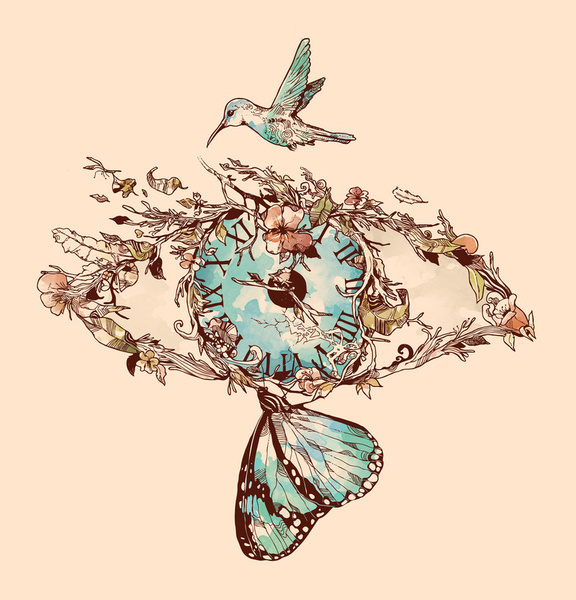 Before we realize, time will cease to be understood as we understand it. There will be only eternity – a negative and positive. Still so many are unsure on which side they land. Time – a constant force – is both with us and against us, but the world has forgotten its sense of urgency. We have settled into our depravity, praying that a genius somewhere in our generation will create immortality. This way, we nullify God. We nullify, reject the truth that we are already immortal. Souls are eternal. Time is eternal. God is eternal. Hell is eternal. Love is eternal. These revelations are of God – truth revealed slowly, with each new rain, as the fleeting nature of time is unveiled secretly to me as a smell of nitrogen. Yet, life still continues. It is plummeting to the depths of a chasm, to its finality, and I chase dreams, hopes and assurance like a pro surfer atop roaring waves. We all chase what we desire, forgetting that God loves to bless us with the desires of our hearts if we only draw near. I remember how ignorant of time I used to be. My senses were dull. I was blind, mute, calloused on my hands and feet, deaf, and allergies of deception had clogged my nose. The rain was not sweet. It did not tell me secrets. It was floods and disaster and annoyance and mud. Time dragged. Sin was acceptable, forgivable, a choice. I did all that I wanted to do because it temporarily felt amazing, but like a serpent that slithers, depression, anger, loneliness, jealousy, greed, lust lurked in the grass at my ankles. Till I finally said, “Enough.” Suddenly like a flood, nitrogen filled my lungs. Elohim opened my eyes. Yahweh opened my mouth. Jesus whispered truth in my ears. These arthritic knuckles began to love others. My nose cleared, and time came rushing at me in full force. Clarity brought purpose. Learning to love God brought fulfillment of hopes, reality of dreams, and assurance of positive eternity. My life has shifted. It has turned from drug use, foul language, pregnancy scares and hatred of mankind to driven clarity towards learning what God has to tell me about who I am, my soul, the world, to purer speech, to desires for sexual purity, and to love for all of mankind. The transition is overwhelming. My goals in life have changed, and I have never felt more satisfied to let the Lord of the universe direct my path because the path that He is sending me down is beautiful, difficult, aware and glorious. My soul is at peace even as I watch the world slumber in sin – its senses dull to the urgency of time. Plus, having drawn near, I recognize the desires of my heart having been given to me. I have a wonderful boyfriend now who loves the Lord. His son is beautiful and loves me. Jesus is using me to love my best friend to show her how much He loves her even more than I do. I have a summer job where I am not persecuted for my faith. My immediate family is growing stronger and builds me up. Time is no longer silent or frightening. It is a whirring river. It is a bottomless ocean. It is thunder and echoes of orchestral crickets. I’m prone to wonder…curious how my life would have been if certain individuals had never crossed my path, or I had never wandered onto theirs, or if they had never existed. I just wonder – and then, I realize that wondering is pointless. Dreaming of an utopian existence will only ever be just that: a dream. So, instead of wiping clean my memories like the bad had never shadowed me or tripped me or shoved me in the dirt is just as fruitless as if I were to imagine… a perfect line of ideal events that settled me comfortably in the right direction; because, all those left turns and right turns and U-turns and ignored stop signs put people in my life that tore down my pride, forced me to re-evaluate my choices, my faith, myself…lent me a hand when I was digging out of the mud, showed me patience and solidified friendships with a stronger bond than would have been possible if I were merely the same person I was before growing up turned my dream into my harsh reality. I wonder why reality has to be harsh, and I think that…of course it has to be! A gorgeous vase is first wet clay, molded and beaten and molded and beaten and thrown into the kiln to strengthen, before it can proudly support a bouquet of lilies. I never thought… Well, I never assumed I would be here. Again. Ever. I thought this place was so far behind me that it would fade into the mist like a bad nightmare, but that was a lie. It drifted away. Yes. But, inside the grey it transformed itself. It altered me, and while I was playing in the warmth of familial safety and defining friendships, the past was shifting in order to present itself to me again as new opportunities. So here I am, clacking away at the keys on my keyboard, sitting at a foreign desk in a familiar place. I am grateful to be here – grateful for the second chance. Few people are ever granted the chance for a new beginning, and yet, here I am. I ask myself, “Why me? What has made me so special that my stars decided to rewind themselves?” Honestly, I have no clear answer for those questions. Who am I to question blessings and not take full advantage? So I have decided to do just that. Take advantage. I have been negligent of my duties. Duty to friendship. Writing. University. Life. Myself…but no longer will I allow myself to be defined by that which I have NOT accomplished. It is time – now – for me to prepare myself a worthwhile existence. A few of you reading this know what it is like to submerse yourself into the thick of the action, leap straight into adulthood. No fun is it? It has its perks, sure. There is a freedom in knowing that you can wake up, work and see your friends and boyfriend. Start over the next day. But…where does this cyclical survival leave the dreams you once had when adulthood was not yet an obligation, but still disguised as an opportunity. Heck. I entered university the first time as an idiot, plunging into the adult workforce unprepared and ignorant, and now, NOW, I get to start over. Not only will I begin again to experience the thrill of “real life” – heartaches and bruises and accomplishments – but also, new perspectives. The weirdest part about all of this is not how excited I am to be able to finally get my head on straight and dive into the modern workforce more prepared, but how much time I have on my hands to do it. I literally do not have to be into class till two in the afternoon every day and I have Fridays/weekends off. What am I supposed to do with that time? Oh I have plans. I get to volunteer and keep up with my blogs, books reviews. I can go to concerts. I get to read any time I want. I get to research for my future plans. I get to PLAN my life as I want it and then accomplish that plan step by step without fear of falling to far from the starting mark. To Blog or Not to Blog? What kind of question is that? My name is Rachel. There’s nothing fancy about my name except that it was given to me at birth. I’m just me, and there is nothing overly remarkable about that fact. My life is like anyone else’s save for the astounding distinction that it is mine. And what does that have to do with this blog? Everything actually. I was at a friend’s house just last night, drinking some wine on her porch and talking about anything and everything when we stumbled upon the conversational topic of names. I explained to her that I have always had to explain how to spell my name to people which seems a little ridiculous because my name is so very basic. There isn’t anything fancy about it, and I don’t add the unnecessary, pretentious “a” in the last few letters. But for some reason, people seem to throw in that “a” like the basic spelling of “Rachel” isn’t quite good enough. Well, I’m here to prove that wrong. I told her, “I always have to spell it out for them. It’s just Rachel.” My friend looked at me and then smiled wide and said, “You should start a blog called ‘It’s Just Rachel’, and blog about your life. All the details that make up your day and thoughts.” It was a genius idea, obviously, because that is what I did. So here I am. Writing to people that have never met me and probably never will unless we Skype or something, but I don’t think our relationship is at that level, yet. Sorry. Anyways, I grabbed my theme which is slim pickings when you’re doing this shizz for free, just saying, and I uploaded a photo and made a creative little blurb about myself. Tada! I even set up a Twitter for you social media junkies. Don’t worry, I am beginning to understand the addiction so don’t think I’m hating on your love. I did all the necessary, little steps to make my blog approachable and readable and catchy while at the same time hoping that it oozes my personality. I don’t think it’s lacking anything currently, but time will tell. I always seem to want to switch around things to keep it fresh. But anywho, doing all that doesn’t truly matter for the major goal of why I’m here typing on this keyboard right now. I could have had any theme with any color scheme and any title and any twitter account to keep you interested, but that’s not my main goal. My goal is not to feed the masses with what they expect or want, but rather with a healthy dose of Rachelsauce. I’m so glad you asked. Rachelsauce is word vomit that spews from my mouth, and I have added opinions, observations, poetry, rants and snarky commentary as my spicy herbal additions to this recipe of Me. So open your mouth, say “Ahhhh” and get ready for a big ole spoon full. Just please try to keep the Mary Poppins references to a minimum. Think I'm a neato burrito? Sweeeet. Follow me to keep updated on my life and shenanigans!